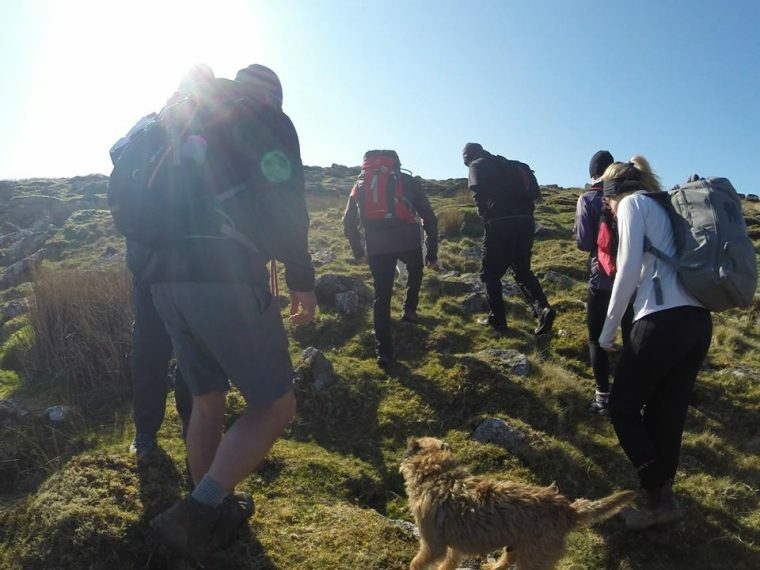 Staff from leading Devon law firm Kitsons are getting ready to take on the Yorkshire Three Peaks Challenge this July to raise money for charity in honour of their friend and colleague, Mark Batten. Mark, who was Chief Cashier at Kitsons, passed away suddenly in March 2014. He worked at Kitsons for over 35 years and was a prominent and well liked member of the firm. In 2013 when the firm took on the National Three Peaks Challenge, Mark acted as a volunteer driver from our head office in Torquay to Scotland and back. 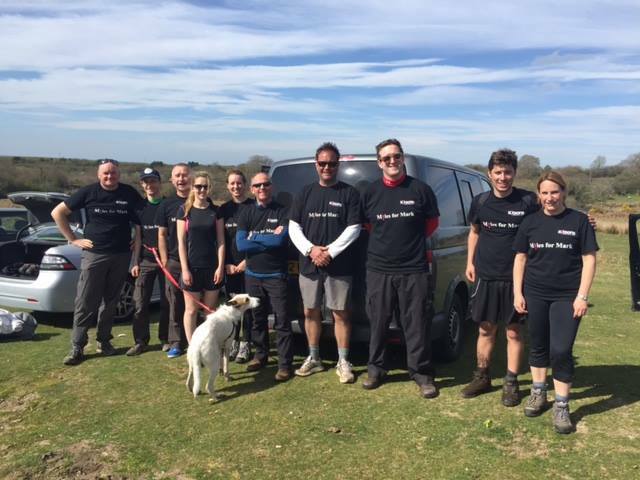 On Saturday 11th July 2015, 30 members of staff from Kitsons’ three offices in Torquay, Exeter and Plymouth, will take on the ‘Miles for Mark’ challenge, attempting to walk 24 miles in just 12 hours. Staff will be raising funds for Diabetes UK which is the chosen charity of Mark Batten’s family. 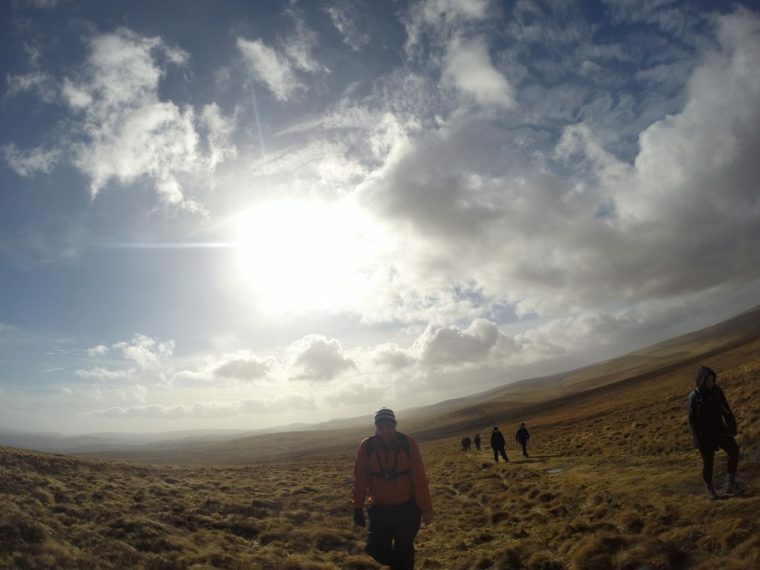 Four teams of walkers and one team of runners will take on the steep climbs and descents of Pen-y-ghent (694m), Whernside (736m) and Ingleborough (723m). These peaks form part of the Pennine range, and encircle the head of the valley of the River Ribble in the Yorkshire Dales National Park. Ahead of the challenge, the teams have been training hard at weekends and have completed a series of training walks. These have included the Belstone loop on Dartmoor, trekking 10 miles up hills, through bogs and over rivers. They also walked from Ivybridge to Red Lake, a distance of 18.4 miles in an impressive 5 hours and 30 minutes. The firm has already seen kindness from various local companies, including the Thrifty Car & Van Rental who have kindly donated the use of three minibuses for the event. Donations can be made for the Miles for Mark – Yorkshire Three Peaks Challenge via: www.virginmoneygiving.com/Kitsons-Solicitors or at any of Kitsons’ offices (Torquay, Exeter and Plymouth).